Initially known as “The VOICE Africa Forum”, The VOICE Refugee Forum sprang out of a refugee camp in an isolated former Russian military barrack that was converted into a transit-reception camp for refugees in Mühlhausen in the state of Thuringia, Germany. Out of that boiling and depressing situation of isolation and the repression that we suffer as refugees, we became a network of African and refugee grassroots activists. As the authorities forcefully transferred some of us from our initial camps and locations, our message unwittingly spread as fresh seeds of resistance were sown in those new locations. We have never stopped and today we are here, as a refugee-based international group of people, of various nationalities and interests. Our engagement continues to thrive because the conditions that gave rise to our emergence are still there and our spirit to resist those conditions remains unwearied. The message continues to spread, even faster. Originally started as an African Forum, and with Jena as Coordinating Centre “The VOICE Forum” established a refugee community, as it became the first point of call for most refugees forcefully transferred to the isolated forest camps in the state of Thuringia. The miserable and unbearable conditions necessitated the need for a self-organisation that served as a platform for resistance against the apparent racist laws that culminate in deportation of refugees from Germany. The founding of “The VOICE” was in part a response to this challenge. Some of these racist laws like the apartheid Residence Obligations Law “das Residenzpflicht Gesetz” can be traced back to German colonial Togo and of course in 1938, it was an integral part of the National Socialists politics of persecution in Germany. More recently, the residence obligation law was re-enacted for refugees in 1982. Within a short time though, “The VOICE Forum” acquired a credible reputation in refugee self-organisation through its information, enlightenment and mobilization programs as we motivated refugees to stand up against racist laws and discrimination in Germany. Our self-organisation provided the platform from which refugees from different countries could air their views and speak out about their problems both here in Germany and in our home countries. With our self-organisation, we established a base for International campaigns against human rights abuses in our various home countries. Through these 20 seemingly short years, we have been denouncing racism and all forms of injustices and abuse of the rights of refugees in Germany, while mobilising refugees to stand up against dictatorship in our home countries. We established a platform for refugees to be self-empowered, to resist and challenge the racist laws, the exploitation and the dubious and corrupt collaboration between Germany along with other European powers and their cronies in our home countries. The “VOICE Africa Forum” was the leading refugee self-organised campaigning group for the freedom for political prisoners in Africa, through the struggles and exile political engagement of its activists. From the political prisoners under dictators like Biya in Cameroun, Eyadema in Togo, Mobutu in Zaire to Babangida, the evil genius in Nigeria and Sani Abacha - the unrepentant butcher of Abuja. We stood with the high and low of political prisoners in all these countries and more, and gave voice to their struggle as we fought with all we had to prevent the German government from deporting any refugee to these brutal dictators and their likes. We are convinced that deportation is a human right abuse and so we fight as much as we can to prevent it. The VOICE Africa Forum's successful strikes of 1995/96 in the Refugee Lagers in Mühlhausen and Saalfeld followed by our nationwide campaign initiatives to free the late Beko Kuti, a leading human rights activist in Nigeria and other political prisoners rapidly evoked the interest and participation of activists from all Nationalities. This was the debut of our steered but self-conscious engagements within the refugee community. We ‘drummed’ our message all over Germany until the military dictatorship in Nigeria was sent packing in 1999 and all political prisoners set free. The "Shell Boycott", International Campaign to save the "Ogoni people" of the Niger Delta and the environmental pollutions and destructions in Nigeria were major engagements of The VOICE Africa Forum in Germany. And we continue to expose the human rights abuses in Cameroun, Congo, Togo and other African countries. With the necessity to broaden our networking, The VOICE Africa Forum was transformed into The VOICE Refugee Forum so as to empower and mobilise refugees from other continents to join in the struggle. The last decade of the 20th Century saw the intensification of our protests against the human rights abuses of refugees in Germany and the campaign to close the in lagers in Germany. At the peak of our campaigns in 2000 after the International Refugee Congress against deportations and social exclusion in 2000, many more refugees especially from North Africa, Syria and Palestine joined our campaign for civil disobedience for the abolition of the residence obligation law Residenzpflicht, while at the same time denouncing the human rights abuses in their home countries. As a grassroots Network, we were part of the founding initiative of the Caravan-for the rights of Refugees and Migrants which toured 44 German cities in 1998. The aim of the tour was to highlight the situation of refugees in Germany and strengthen the rights of refugees and migrants with the call: “We have NO VOTE but A VOICE” as it coincided with the 1998 German general elections. The VOICE in cooperation with the International Human Rights Association (IMRV) in Bremen launched the first nationwide campaign to close down an Isolation camp located in Tambach-Diethartz in Thüringen in 1998. We successfully closed down the camp, one of the most horrible camps in Germany at the time. In like manner we successfully campaigned to close down all the Russian modelled barracks for Refugee transit receptions. These included Jena Forst and Mühlhausen, which bore the brunt of our protests. Today we are still campaigning for the closure of the refugee isolation camp of Breitenworbis in Landkreis Eichsfeld and the Gerstungen isolation camp of Warburg District in the North West of Thüringen. You can be rest assured they will also be closed!!! With the coordination centre in Jena, our regional activities and campaigns are coordinated by activists of our Network from Baden Württemberg, Berlin, Thüringen, Sachsen-Anhalt, Hamburg, Niedersachsen and Bremen. We are intensively committed to the next stage of empowering our communities and strengthening our demands against deportations and the refugee countries' collaborations with the German state. Since the VOICE Refugee Forum became a partner within the Network of The CARAVAN for the Rights of Refugees and Migrants in Germany, we have been resolutely engaged in Campaigns against the residence obligation law – "das Residenzpflicht-Gesetz". With our determination, we embarked on civil disobedience to the extent that some of our Refugee activists defied this apartheid law and resisted against the penalties of fines and imprisonment. While some were imprisoned after the racist German court verdicts, our continuous protest and solidarity resulted to success in civil disobedience in and out of the German courts. 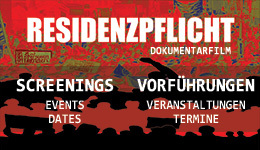 Today, with the struggle for refugee liberation all over Germany, the Residenzpflicht is slowly becoming history although some German states are still struggling to sustain their racist machinery with this apartheid law. Other substantial parts of our engagement have always been to fight colonial injustice, to break the isolation of refugees, to close the lagers and to be self-organised in resisting racist discrimination and in fighting every single deportation. We have since 1996 closed down more than a quarter of the isolated lagersgg and advocated for normal housing in the cities within the State of Thuringia and beyond. 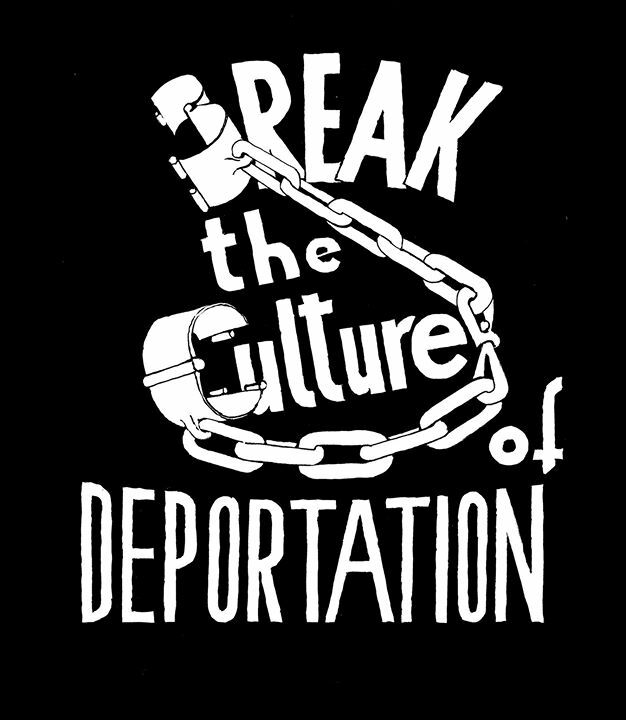 Many refugees have taken the initiative to resist and stop their deportations, which collectively developed into “Nationwide Deportation Stop Campaigns and International Networks on Deportation Stop”. Our continuous experience of racist police controls and violence led us to a slogan: „control the police" as we are not ready anymore to accept discrimination and criminalization on the basis of racist profiling. We are calling on you to share your inspiration with us. Together, we are inspired to continue our struggles to expose the injustice of the nations, their participation in and making of wars and exploitation because these are the major reasons that force us to flee and migrate from our home countries. movement meet together in Jena. Political potential of Refugee’s position in EU was presented and discussed.